The department store Breuninger, which during its more than 130 year history has transformed from a department store to a lifestyle brand, is renowned for its trend awareness and sense of quality. 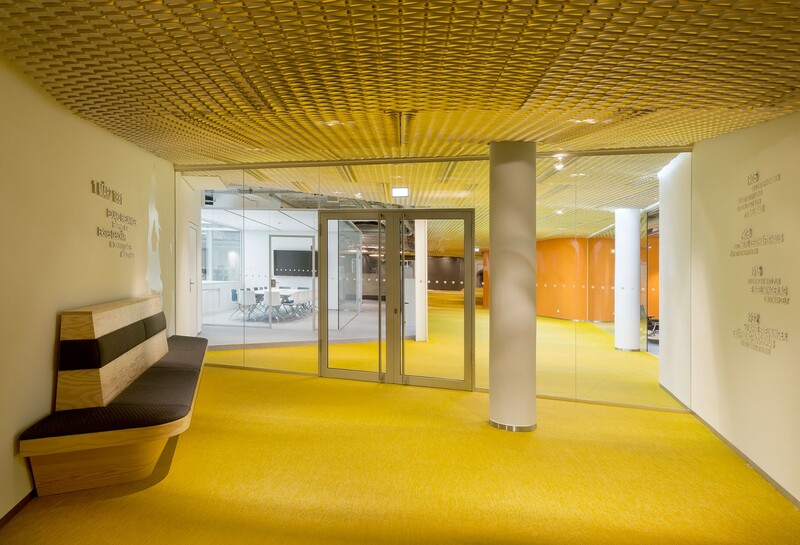 The same high standards of quality have now also been applied to the design of the office spaces on the 5th floor of the original Stuttgart headquarters at Rathausplatz, one of the largest department stores in Germany. The administration offices are located one floor above the department store floors, the central core and atrium dome. 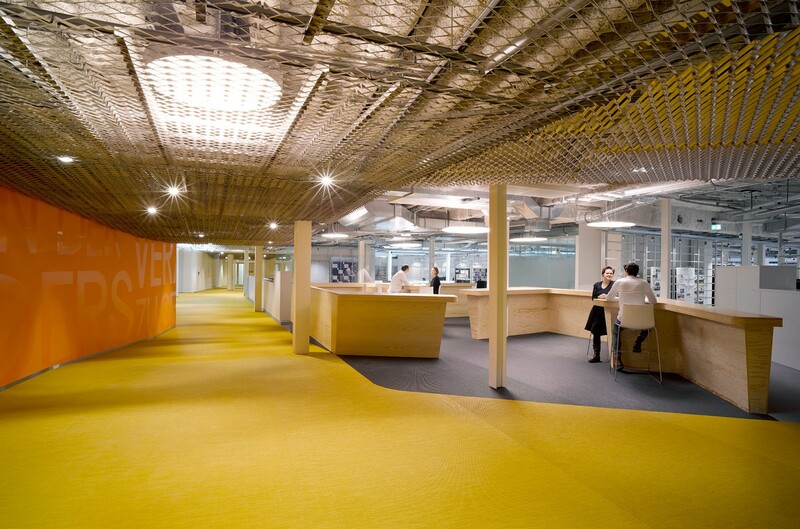 The office area was a collection of different building elements, annexes and refurbished elements. In its former state it therefore displayed a lack of unity. The redesign concept of the Breuninger administrative offices includes an open office landscape with a welcoming reception area. 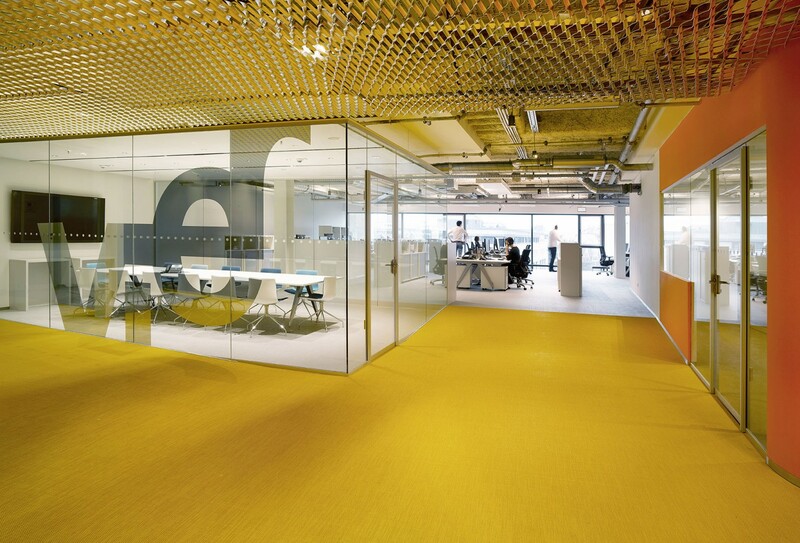 A yellow path guides users through the landscape connecting the annexed working areas, punctuated by informal communication zones, which also serve as additional meeting points. The meeting and conference rooms are autonomous, mobile elements within the office zones. 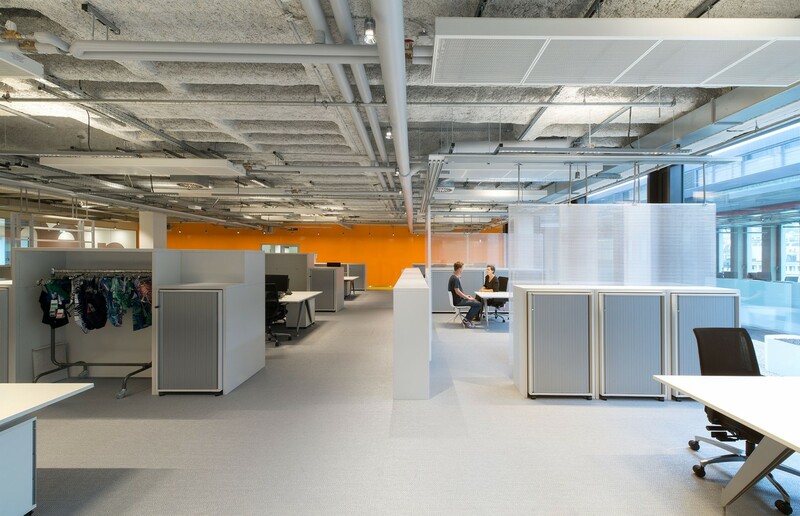 The only limiting wall elements in the otherwise open area are the newly-clad stairwells, which use the Breuninger corporate color orange. In response to the variety of workspace needs, a special modular cabinet system has been developed for Breuninger. This system has been designed to adapt to the contrasting demands of the various departments such as the buying department and the marketing department. Each employee can set up his workspace with a personal rolling drawer unit and an open stationary cupboard, either with open shelves or with a clothes rail, adjustable in height and equipment to the individual requirements. Hanging sliding elements for so-called sample boards are used to support the clear and flexible workplace design. 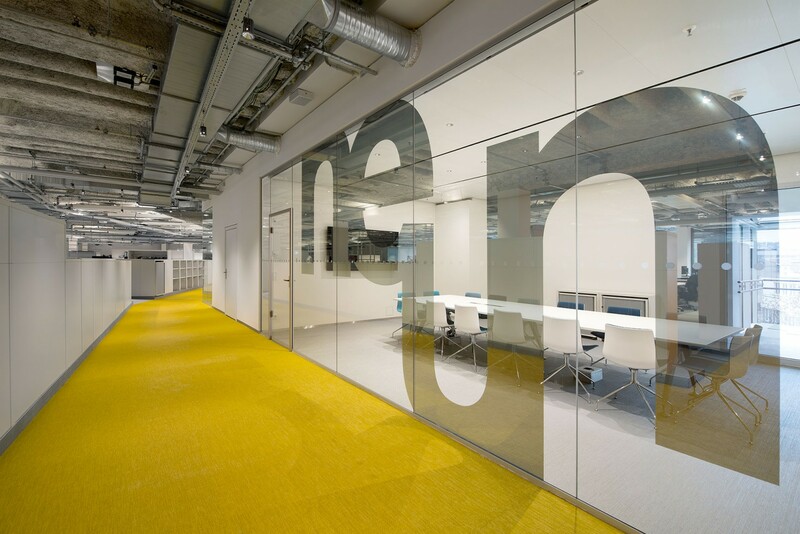 Sensitive areas, such as the HR department, are separated by translucent acoustic wall units, which can also be moved as needed on a rail system. 5.500 qm / 59,200 sq.ft. 20.625 cbm / 728,372 cu.ft.